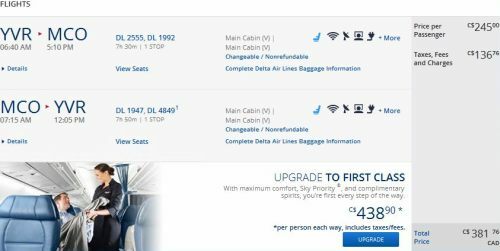 Delta has dropped the price of some of their Vancouver - Orlando, Florida (MCO) flights down to $381 CAD roundtrip including taxes. This is about 30% below the typical best prices to Orlando. Dates around Labour Day in September are currently available, as of this writing. There are less dates available for the flights with 1 stop each way. Click on the departure date box to bring up the calendar view and explore different date combinations. 2. Click through from Google FlightsDelta website and book directly. Update #1 @ 11:40 AM PST - WestJet has dropped the price of some of their non-stop flights down to $387 CAD roundtrip including taxes to match this! The WestJet price is available on certain dates in January, February, and April 2016. Click on the departure date box to open the calendar view and explore the dates. On top of that, you can bring the price down even further, to just $348 CAD roundtrip including taxes, if you use the current WestJet promo code when you book! If you already booked with Delta, and would rather fly non-stop with WestJet, it's possible to cancel without charge, as long as it's done within 24 hours of booking (as is the case with most airlines). The following AirBNB link will lead you to some great deals on places to stay in Orlando for under $139 CAD/night for 2 people. 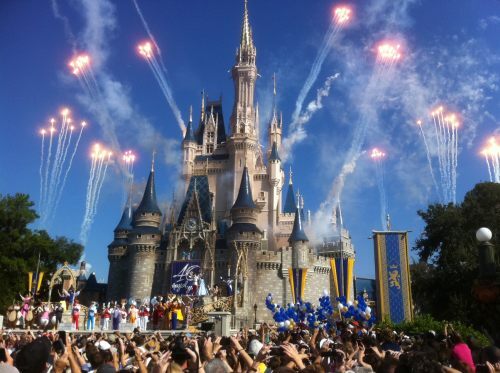 vancouver, yvr, flight deals, westjet, florida, delta, orlando, mco, united states, north america and disney world. 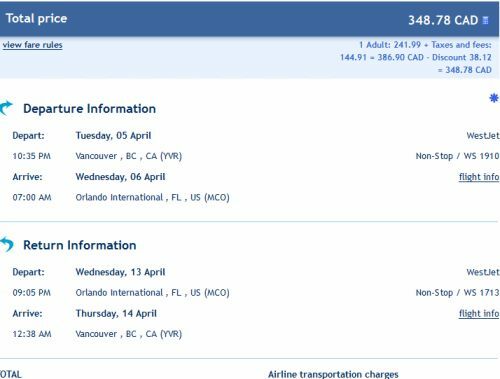 One Response to "Vancouver to Orlando, Florida - $381 CAD roundtrip including taxes"
Hi Chris. I love this website. Especially for flight deal to my country indonesia. I just wonder if you know any good deals for cruise? Thank you Chris.